New Utah Gardener: Is Purple Fountain Grass A Perennial? Is Purple Fountain Grass A Perennial? 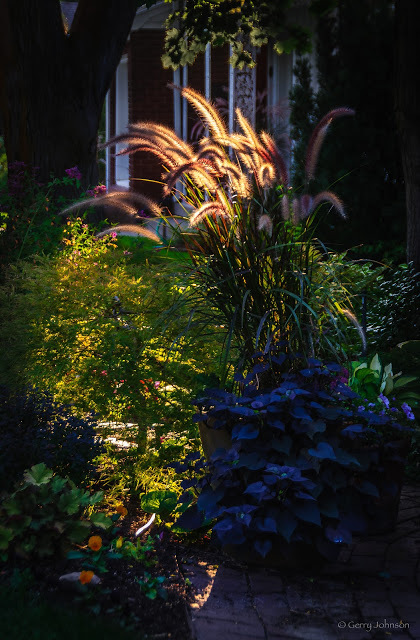 Purple Fountain Grass - Pennisetum setaceum - is a perennial; it can live for many growing seasons and it comes back every spring. However, it is not cold hardy or winter hardy here in Utah. That means that it won't survive the winter and it will die. But that doesn't mean that you shouldn't grow it. Think of it as you do your annual flowers or tender vegetables and replace it every spring. Purple Fountain Grass is beautiful and waterwise! It adds a dramatic touch to container plantings and waterwise perennial gardens.